This class is an introductory class for students 8&Under. ATC coaches will introduce the basic movement skills, striking skills, and techniques for forehands, backhands, serves, & volleys. 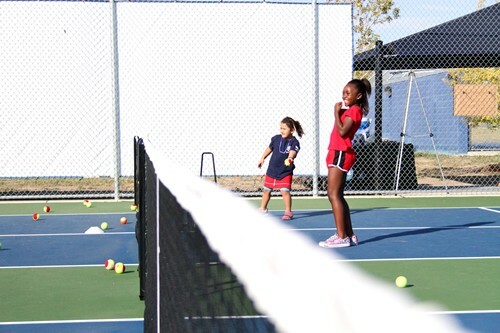 ATC Coaches will utilize age specific tennis equipment on Austin's only permanent 36' tennis courts specifically designed for 8&Under Competitive play. Come see why the Austin Tennis & Pickleball Center Junior Development Center is Austin's premier 8&Under Developmental Tennis Center!